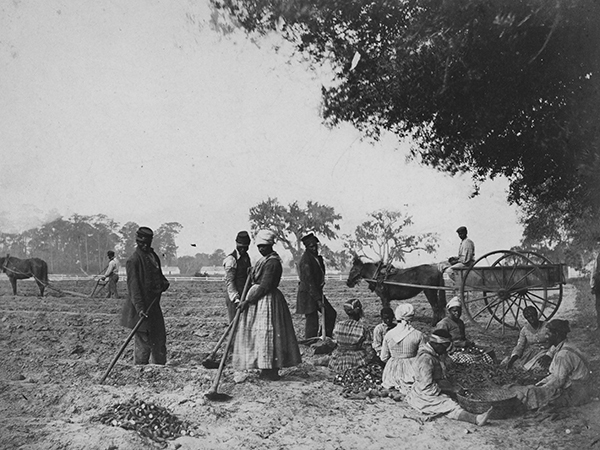 Slaves shown working in the sweet potato fields on the Hopkinson plantation, located on Edisto Island, SC. Looking back at forgotten labor struggles is therefore not just an exercise in setting the record straight, it is an exercise in emancipating our own thinking from attempts to discipline and control it. Reconstruction and its aftermath is an especially fertile period because it is when the language of liberty began to take new form, but had not yet been thinned out into the libertarian discourses that we know today. 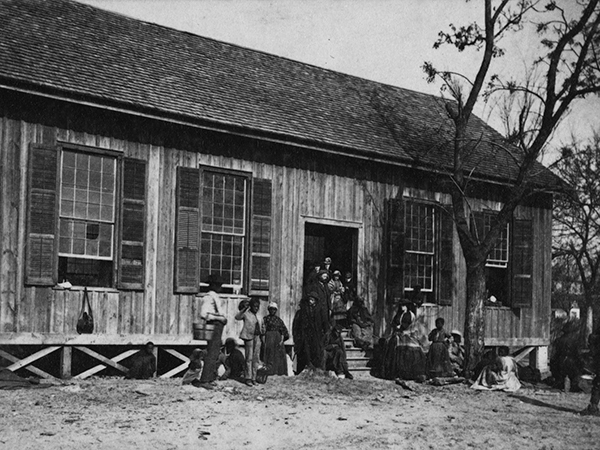 Union soldiers of the First Massachusetts Cavalry posed in front of plantation house on Edisto Island, SC.